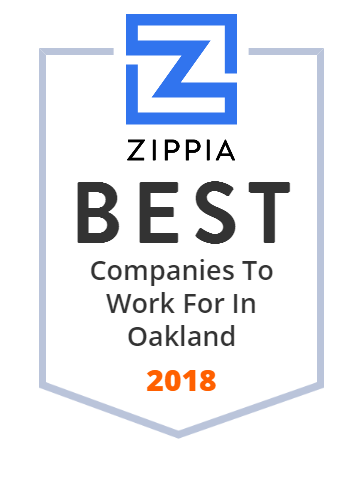 We hand-curated a list of the best companies to work for headquartered in and around Oakland, CA using data on salaries, company financial health, and employee diversity. Based in Oakland, California, The Clorox Company is an American worldwide manufacturer and marketer of consumer and professional products. With approximately 8,100 employees worldwide, Clorox markets some of the most trusted and recognized consumer brand names, including its namesake bleach and cleaning products; Pine-Sol(r) cleaners; Liquid Plumr(r) clog removers; Poett(r) home care products; Fresh Step(r) cat litter; and more. Scientific Learning Corporation combines advanced knowledge of how the brain learns and innovative technologies to improve English language and reading skills. Their evidence-based reading intervention programs designed for learners in grades preK-12 produce fast and enduring gains essential for learner success. Burt's Bees is an American personal care products company that markets its products internationally. Roofstock, founded in 2015 in Oakland, CA, is the leading marketplace for buying and selling rental investment properties. The company provides all of the resources for investors to buy, own and sell real estate online, including data analytics, property management oversight and other tools. Roofstock is the first online marketplace created exclusively for investing in SFR homes. Today it offers SFRs for sale in 25 markets nationwide. BrightSource Energy designs, develops and deploys concentrating solar thermal technology to produce high-value steam for electric power, petroleum and industrial-process markets worldwide. They combine breakthrough technology with world-class solar thermal plant design capabilities to generate clean energy reliably and responsibly. Headquartered in Oakland, California, BrightSource Energy is a privately held company with operations in the United States, China, Europe, Israel and South Africa. Oakland Unified School District, founded in 1852, is a public education school district that operates about 86 elementary schools (K-5), middle schools (6-8), and high schools (9-12) and 32 district-authorized charter schools in Oakland, California. It is dedicated to creating a learning environment where every student thrives. More than half of its students speak a non-English language at home. OUSD is focused on high academic achievement and provides each child with excellent teachers. Gateway Bank, FS B. is a Federal Savings Bank headquartered in Oakland, California. Offering products for every person and business, Gateway Bank, FS B. they provide clients with the capital that they need for additional growth, and they offer many sizes and types of loans: from small business loans to large commercial loans. They also help clients save money with their many different options off business and personal deposit accounts, including interest-bearing business checking accounts and money market accounts. Since its inception, the Oakland Museum of California has remained true to their mission of inspiring all Californians to create a more vibrant future for themselves and their communities. Oakland Museum of California nurtures its deep ties to the community by offering many educational and outreach programs. Their programs explore and reveal the factors that shape California character and identity, from its extraordinary natural landscapes, successive waves of migration to its unique culture of creativity and innovation. Regpack, founded in 2009 in Oakland, CA, is an online registration software that creates intelligent application processes with integrated payment processing. Its registration, payment, and user management system enable organizations to register applicants quickly and effectively. The company supports over 6,000 clients. The goal of Regpack is to create software that is flexible enough to satisfy the needs of every one of its clients. Pass your permit & drivers license exam w/ DriversEd.com! We've been teaching drivers ed online for over 20 years. Certified instructors guide your in-car driving lessons. Classes available on web or app. State licensed. Take a look at us.